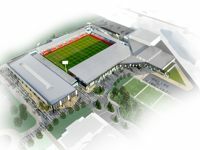 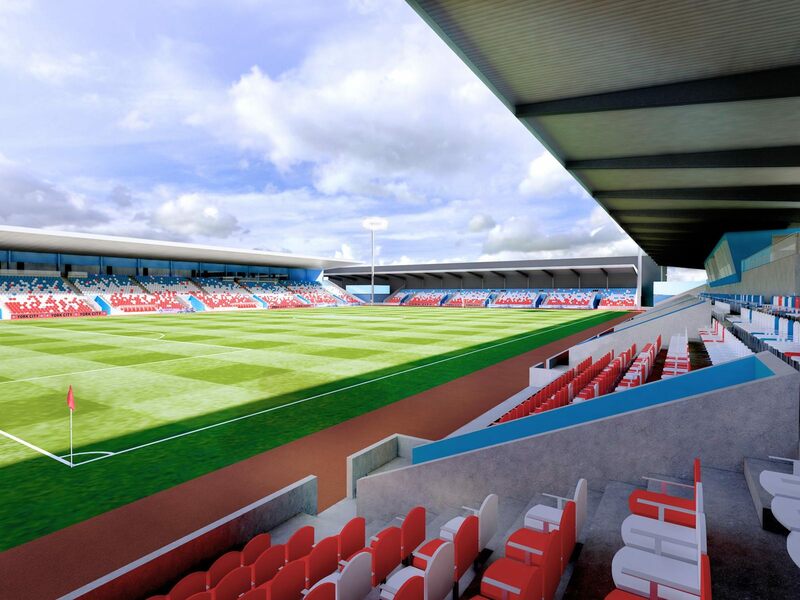 New stadium for York is to be home for York City FC and rugby team York City Knights. 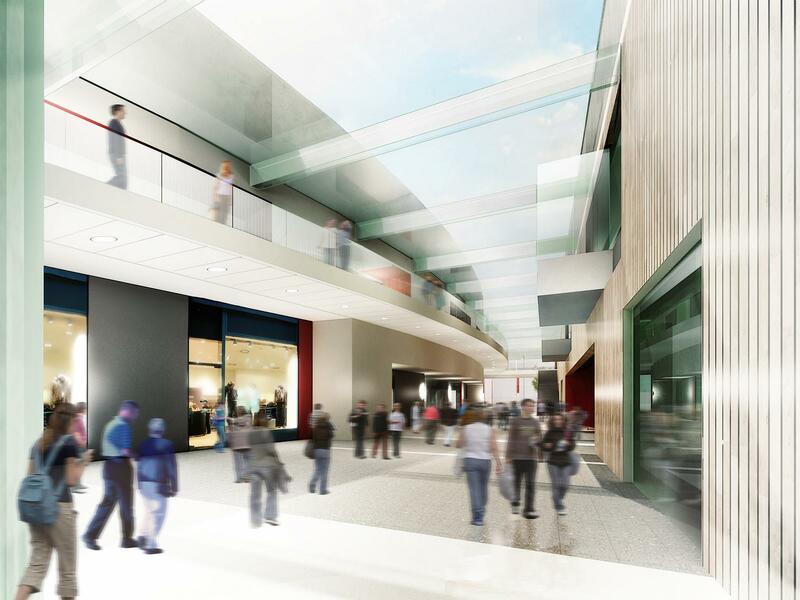 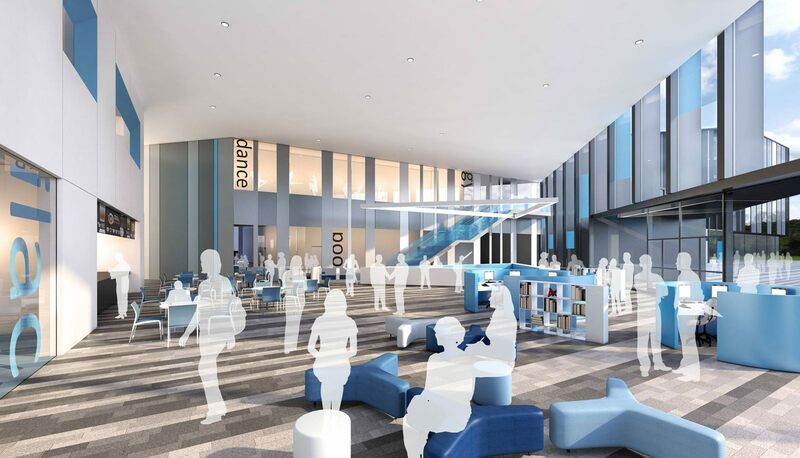 With capacity of some 8,000 it will offer some 3,000sqm of office space for staff and much more in the retail complex conjoined with the venue. 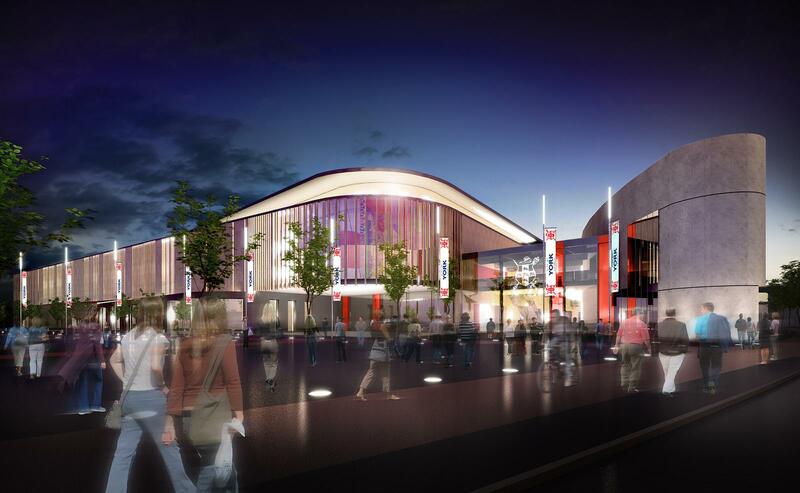 Two chains – Marks & Spencer and John Lewis – are expected to cover over 10,000sqm each, also providing most of the necessary funding. Remaining part is to be paid by the city, York City FC and Football Stadia Improvement Fund. 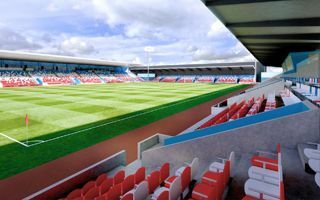 Despite several football and rugby games already having been scheduled for the summer, York Community Stadium will not be ready in time. 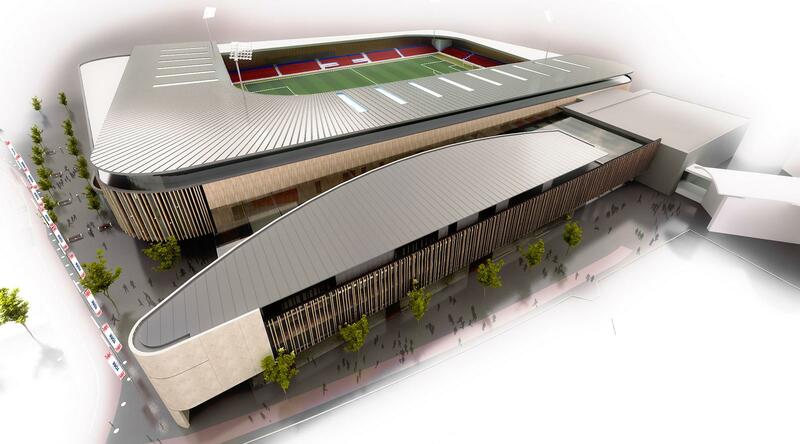 This means no rugby this season and delayed football inauguration. 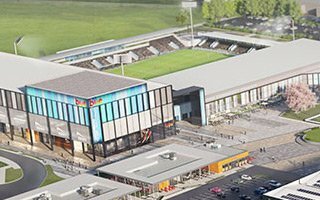 Excavators are already working, modest groundbreaking ceremony took place and now it's time for 1.5 years under construction before York City FC move in for 2019/20. 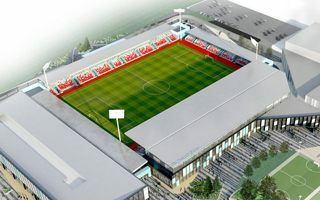 Construction is likely to start soon as new contractor has been appointed to deliver the 8,000-capacity stadium. 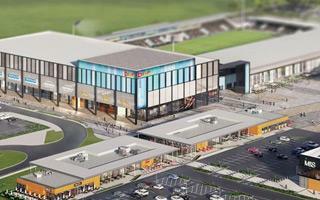 Buckingham Group will run the project until it opens in 2019. 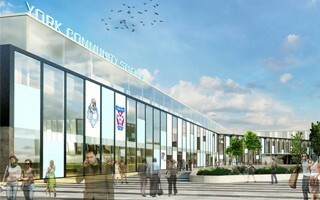 Though it was first hoped to open in 2011, to this day York City FC have been waiting to break ground. 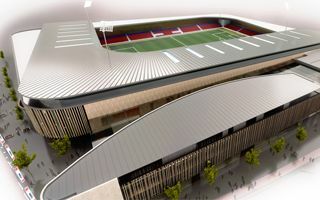 Things are bout to change though and from 2019 onwards the team will play in their new home. 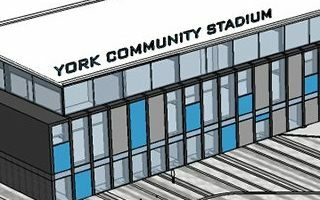 General contractor for the 8,000+ stadium decided to drop out of the project after it got stalled yet again in proceedings. 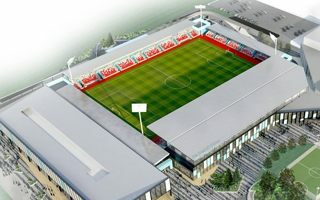 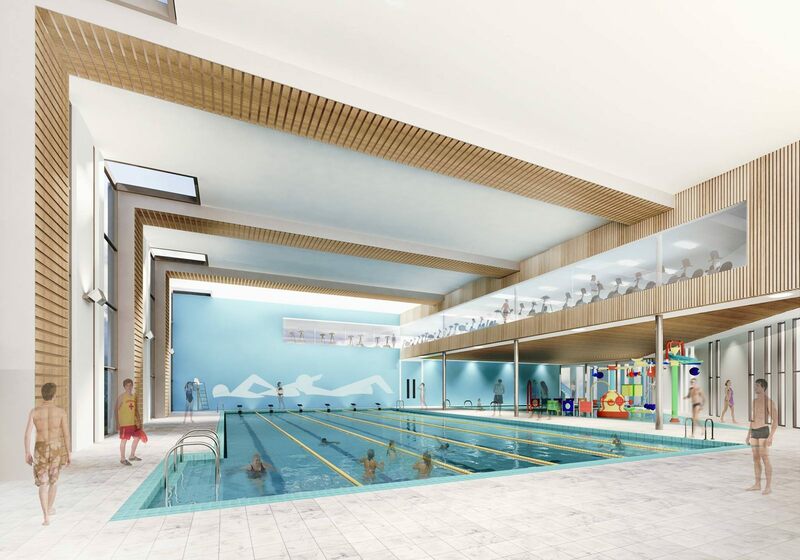 Two of York’s sports clubs are to get a new home after long-awaited plans for a new stadium were given the go-ahead by councillors at a crunch meeting yesterday. 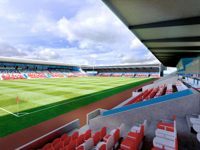 A Yorkshire Post report. 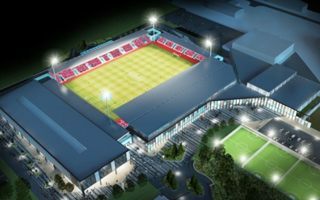 Another significant sports project in England proceeds as York City is finally getting their desired new home. 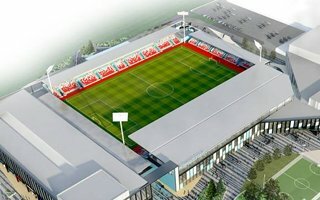 Completion is expected already next year. 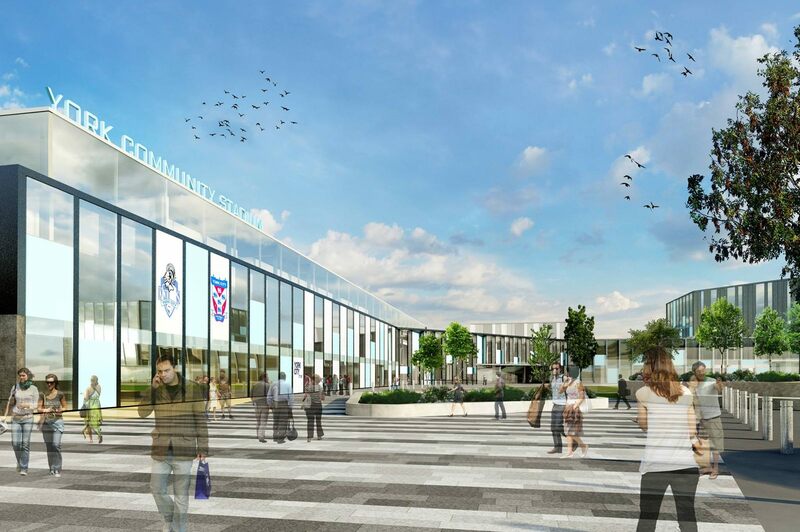 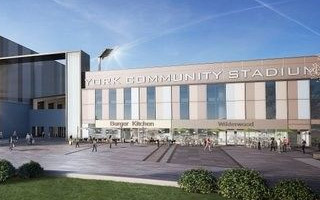 The community stadium scheme for York seems to be going forward after several hurdles. 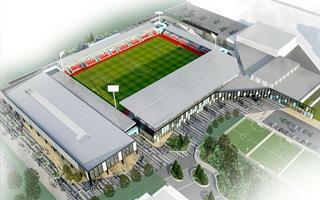 Final design should be revealed in August, while construction is set to begin in March 2015.